Comments: Comments Off on Fit Radio Success Story: Mercedes O. During our last duty station in Japan from 2013-2016, I began my fitness journey and lost a total of 74 lbs. Once moving back to the States, we found out I was pregnant with our second child. I used to be a great runner, not a marathon runner, but I could run and during my pregnancy, I unfortunately stopped. I am now back at the very beginning trying to get back to where I once was. That is where Fit Radio comes in. I will never get on a treadmill (or do any work out) without Fit Radio! The variety of beats and voices in my ear that they give me keeps me motivated and moving! What I love most about Fit Radio is the variety of options that they offer. If I am in a running mood, I pop in one of the fabulous Cardio Coaches. If I’m in a pumped up mood, I check out the Strength section. If I’m focused on my pace, I use one of the running/walking BPM options. 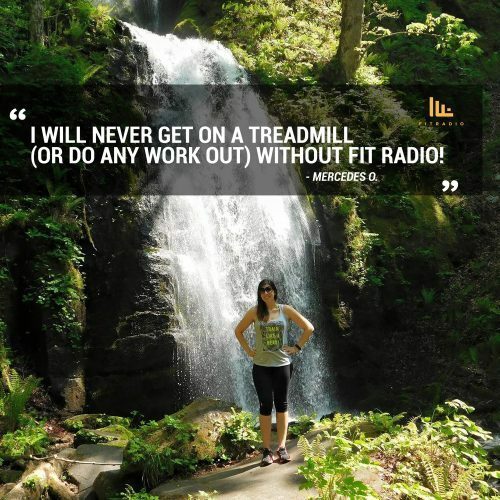 Fit Radio has everything no matter your fitness level! I honestly cannot pick just one favorite DJ/Cardio Coach because they each have their own style of coaching and beats. It just depends on the kind of mood your in for your workout!